We are delighted to present Ken Conger as our featured guest photographer this month. We appreciate his time and generosity in sharing his world and work with us! Please visit his links to see more of his work, and to let him know you enjoyed this interview. My father gave me my grandfather’s older model Argus camera when I was around 10 years old. The first roll of developed film was like magic. Having the ability to capture a special experience and keep it for a lifetime was amazing to me. By high school, I had my own darkroom and would buy film in 1000 ft. rolls. To this day taking photographs is still exhilarating. I’ve always had a special place in my heart for animals, so wildlife photography has always been my motivation and concentration. 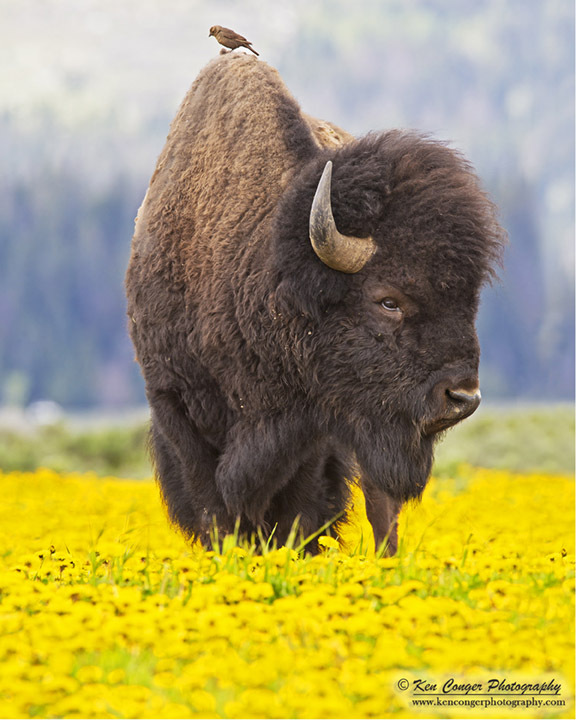 :: How did your career in wildlife management as a game warden shape the type of photography you do? I imagine you saw some of the best and worst when it comes to the human/wildlife interactions. How does it shape the way you try to portray the animals you photograph? The progression from wildlife protection to wildlife photography was an easy one. Understanding the biology of animals is important in both genres. Secretive movement is an advantage for both detecting violations of law and successful wildlife photography (in order not to alter an animal’s behavior) As a warden, enforcing the wildlife protection laws certainly adheres to the NANPA Principles of Ethical Field Practices. I only photograph animals in the wild. 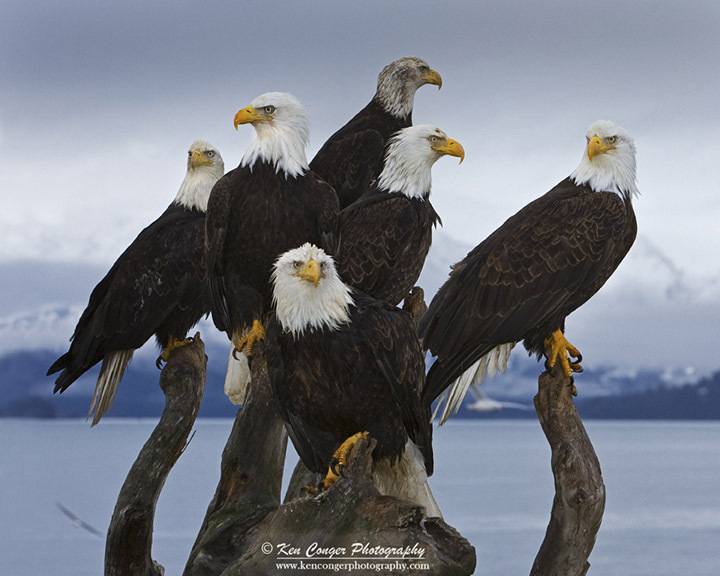 So, when you see a Ken Conger photograph you know it was taken in its natural environment and not caged or staged. :: With the recent news coverage of big game hunting in places like Africa, as someone who has photographed many of these treasured animals, you can appreciate that it is often harder to capture them with a camera than it would be to capture them with a gun…how do we convey that message to hunters? We all have our core reasons that sustain our passions. It is not my place as a wildlife photographer to attempt to coerce a traditional hunter to pick up a camera instead of a gun. Hunting is a crucial part of wildlife management. The majority of hunters are not poachers. As a conservationist/wildlife photographer, my goal would be to encourage all entities to adhere to appropriate laws and ethics when afield. :: Second part to the above…as someone who worked as a warden, you obviously deal with hunters, and I’m sure can appreciate how proper hunting regulations work? I think that sometimes wildlife photographers are very quick to condemn all hunting practices, even by those who use it as a way of life, or have maybe some long standing cultural reasons for hunting…as someone who has been around both parties (hunting and photographers) where do they meet so both parties are happy? What lines should be drawn? Challenging questions with no one answer. Photographers that denounce the family tradition of legal hunting do not understand the concept of wildlife management and how it benefits faunae. Funds obtained from hunting license and stamp purchases contribute towards ensuring the future of many species of wildlife and their habitat as well as provide for some of the very management areas and refuges that wildlife photographers visit to take photographs. 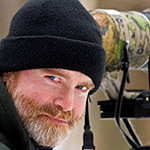 Many wildlife photographers that I know are prior hunters. Several have participated on my photo tours. They are skilled in the field, understand animal behavior and know how to be secretive. The happy ground you mention for either would really depend on the part of the world they are from and that area’s accepted cultural norms. 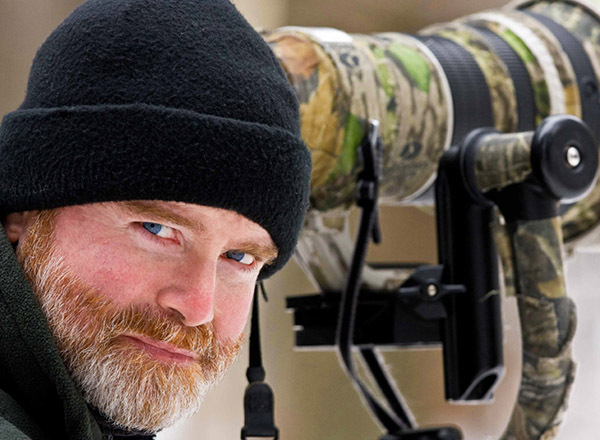 Expect that both hunters and photographers are hoping for some type of success. That aside, I know many hunters and photographers who are content with an opportunity to have a day afield. No distinct lines should be drawn. For either group, whether harvesting an animal or capturing an image, the most important element is that it is performed both ethically and of course legally. :: You’ve been in this field for a good while now, what lessons for wildlife photography did you not “get” until later in your career? What did you maybe focus on too much in the early years that you wish you would’ve done differently? The one thing that comes to mind is using the appropriate shutter speed for the given wildlife opportunity scenario. Self-taught, I have made numerous mistakes over the years and have learned what settings are required for a given wildlife photo opportunity. With the advanced ISO performance in the newer cameras, having the availability of higher shutter speeds in low light conditions has just been an awesome advancement. As I have matured, my patience has evolved to allow the time to wait for that wonderful moment to capture that killer image. :: What is the scariest encounter you’ve had with wildlife as a photographer, or a warden? Certainly being shot and physically assaulted by violators as a warden were the most stressful occurrences. I have too many war stories for this piece. 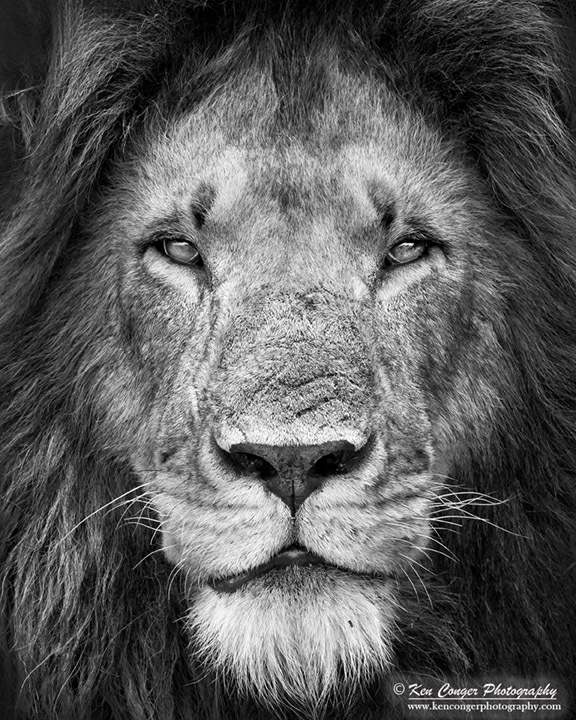 I think the Lord has rewarded me with the opportunity to share wildlife images after 30 years of wildlife protection. Others often ask me the same question. I respond that it is not the megafauna that are scary if you act in appropriate manner. As a Lyme disease and Malaria survivor, it is the little creatures that worry me the most. Leafy camo because it is light, packable and provides exceptional camouflage. :: What animal have you found to be the most challenging to photograph, and how have you gone about getting the images you needed? Currently, the one animal I consider the most difficult to photograph in the wild is the giant panda. Challenging because of China’s rules, accessibility and logistics it is most difficult for someone from the US to photograph them. This species is on my bucket list. :: I know you’ve completed a few bucket list items this past year including wolverines in Finland, and Puma in South America…what other animals are on your bucket list photographically…and when you find one how do you go about planning a trip to photograph that particular creature? Besides the giant panda, the snow leopard, red panda and gorilla are on the short list. I spend well over a year doing research for a bucket list species which includes spending hours on the internet, contacting wildlife officials and other photographers who have been successful. :: Is there a moment or two in particular while shooting that really stand out to you as being a life changing moment for photographing? When my only son went off to college and had some vacation time with my wife, we went camping and photographing in Yellowstone National Park. A mishap on that trip did change my life. At that time I was still using my old high school Minolta equipment. While visiting a lake, an otter captured a cutthroat trout right in front of us. While anxiously, but slowly, positioning myself to get the eye level shot, I slipped and dropped my camera into the water. My supportive wife said, “Ken, I think it is time for you to get a good camera.” I thought to myself, “Green light green light”. When I got home, immediately sold my boat, obtained a second mortgage and purchased $14K in camera equipment. My wildlife photography career began at that point. :: Social Media has obviously become a powerful tool with photography. What are your views on the positive, and what might be negative with social media as a creative outlet? Certainly having a website, blog, Facebook page and Instagram has opened doors to share wildlife images with many. We would never have an opportunity to reach these folks before the advent of the internet. The negative is there is a time commitment ensuring you post to all. Being a desk jockey does take away time from being field, which we all primarily desire. :: I think for a lot of young photographers there’s an allure to wildlife photography. What advice would you pass on to people who think wildlife photography might be the route they want to go with their lives? I advise inquiring youth to follow their passion and make a plan on how to achieve their goal, no matter what potential career they desire. Nothing is impossible if you have ambition, concentrate on the objective and work hard. For wildlife photography, I do suggest some type of advanced education above high school in a biological or conservation related field and spend as much free time photographing as possible. Photography is a skill like pool or bowling, so the more you do it, the better you become. 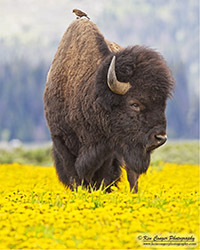 :: What was the inspiration for your book “Wildlife’s Greatest Connection?” Was it a project you set out to shoot or was it an idea that progressed after looking through years of images and seeing a theme within? The inspiration came directly from the public. Numerous folks that had attended my wildlife programs and visited my art festival booth encouraged me to do a book. Choosing intimate scenarios of a mother and her young was an easy theme because everyone appreciates that special relationship. :: Do you shoot anything other than wildlife? I know a good landscape scene when I see one. I will stop for a stunning landscape scenario which does happen incidentally on my way to a wildlife photo opportunity. :: What piece of equipment are you just waiting for technology to develop for your work? Is it a lens, a larger resolution image? ISO performance? Does the increased quality of equipment and making photography easier for everyone discourage you with your work ever? I only shoot with pro Canon bodies for the build quality and weather protection. My desire would be for the camera bodies to become lighter in weight, but still maintain their integrity and climate defense. Expect I will purchase a mirrorless camera in the near future. Increasing the quality of equipment, making it easier, just brings more folks into the fold, which can be a good or bad thing. If we mentor the new folks to maintain ethics and promote conservation, it will be a good thing. If a new percentage of photographers lean towards pursuing wildlife photography strictly as a commercial venture, that could have some negative repercussions. I’ve seen inappropriate behavior in numerous locations such as animal jams and photographers that rush in or too close to get the shot. "Numerous folks that had attended my wildlife programs and visited my art festival booth encouraged me to do a book. Choosing intimate scenarios of a mother and her young was an easy theme because everyone appreciates that special relationship."